We all want success easily. We all want to ‘do it our way’. And, if we’re honest, in our quest for easy success, we’ll all done dumb things. That is, we realized they were dumb–after the fact. So, just because I’m picking on new agents here doesn’t mean I haven’t done many more than just ten dumb things! I’m listing these here, though, to help you avoid the mistakes I made as a new agent, and the mistakes I’ve observed thousands of new agents make over the years I’ve managed, trained and coached. Some dumb actions don’t cost us much, but, when an agent fails, it costs money to everyone-agents, offices, and consumers. It’s estimated that it costs a manager $15,000-30,000 for every agent hired who fails! So, that agent isn’t a profit-center, she’s a cost center! In addition, an agent who fails spends at least $5000-15,000 just in ‘subsidized living’ and real estate expenses the first three months in the business. Finally, the consumer loses, because the agent is out of the business before serving the consumer. 1. The gap between consumer expectations and agent performance is widening quickly and dramatically. New agents must have better training, coaching, and commitment from their brokers. 2. The market in most areas has become more challenging, so new agents can’t get those ‘easy sales’. 3. The committed, career-oriented agent is taking much more of the market share. It’s estimated that 50% of new agents fail and get out of the business in their first year, and 75% are out in two years. That seems to me a huge waste of resources-and a huge contributor to that expectations gap I listed above. We need to stop that attrition now. 1. Thinking that there are lots of ways to start the business. There aren’t. Real estate sales is sales, and sales is a numbers game. (Up and Running shows you exactly how to work those numbers to your benefit). 2. Thinking they don’t have to lead generate, because they’ll “do it differently.” Don’t talk to people consistently and in great numbers and you’ll be flipping burgers before you know it! (Not that there is anything wrong in flipping burgers, but you won’t be “selling real estate”. 3. Thinking that their manager or office or the Internet will supply them leads. If that were the case, your commissions would be much smaller. 4. Thinking that this business is about tasks and technology. It’s not. It’s about people relationships. 5. Treating the business like a ‘next’ business. It’s not about finding and selling a customer. It’s about finding and keeping the customer for long-term referral business. How many of these dumb things have you done? In truth, we learn from our mistakes. It’s not what we do wrong. It’s what we continue doing wrong. I wrote Up and Running to cut your ‘mistake time’! 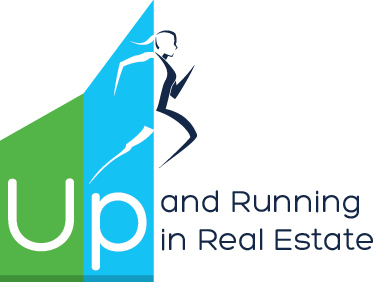 More Questions: Are you ‘Up and Running’ or Down and Stumbling?